There was a lot to take away from the World Cup trailer; dippy egg for Ryan, pizza for Yaz and a chippy tea for Graham. We saw little of Jodie Whittaker’s Doctor, appearing right at the end having flitted through the lives of her friends, stealing chips, replacing pizzas and swapping the Sheffield Advertiser for the Beano. The Doctor’s sense of fun and mischief is clearly present in the action whilst the sense of wonder is there to see in Whittaker’s face as the trailer closes. This is not, however, an article which pores over fifty seconds of a specially-shot teaser in forensic detail. Not for us the “perhaps it’s a reactionary tabloid?” approach. 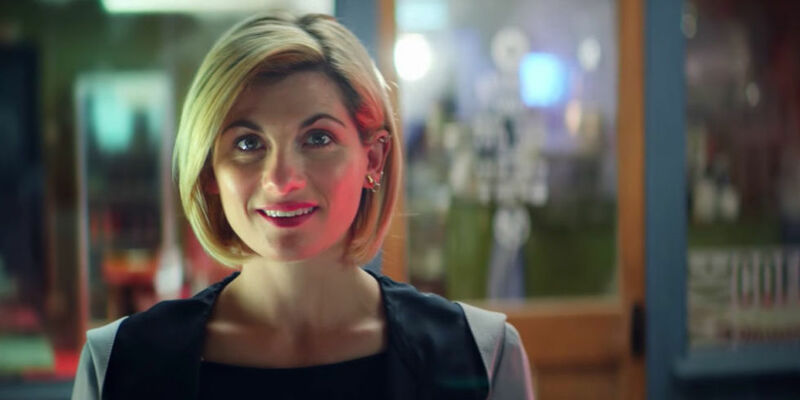 The timing of the trailer was quite interesting, however, introducing the Doctor’s new friends almost exactly twelve months since Whittaker’s casting was announced. With filming almost completed on the series and a year’s gap between the introduction of the Doctor and that of her new pals it’s tempting to feel as hungry for new information as poor Yaz was when her mates ate all the pizza. Personally, it’s refreshing to know so little going into a new series of Doctor Who, all we’ve been promised so far is “…a new Doctor, all-new characters, all-new monsters, all-new stories”, which is all rather tantalising. 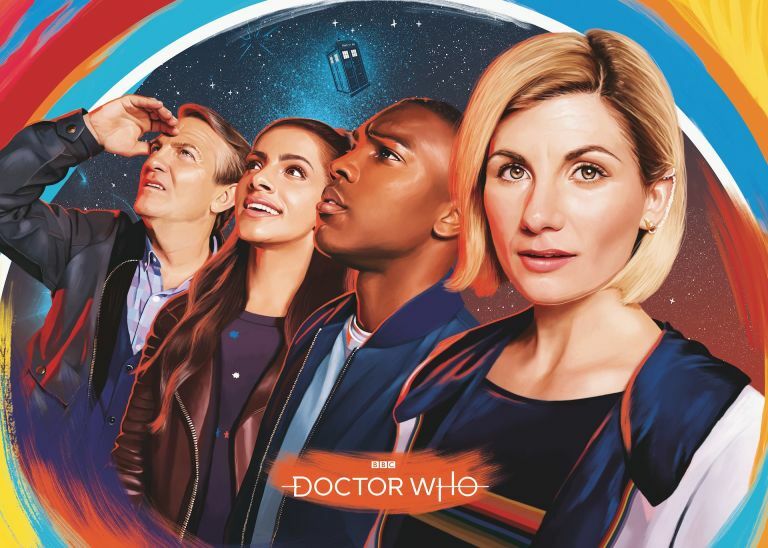 The Comic-Con panel emphasised this with both Chris Chibnall confirming there would be no Daleks this year and a trailer that emphasised the new friendships, times and worlds to be visited. The new sonic screwdriver and some gloriously colourful promotional images added to the excitement around the upcoming series whilst still playing its cards very close to its chest. 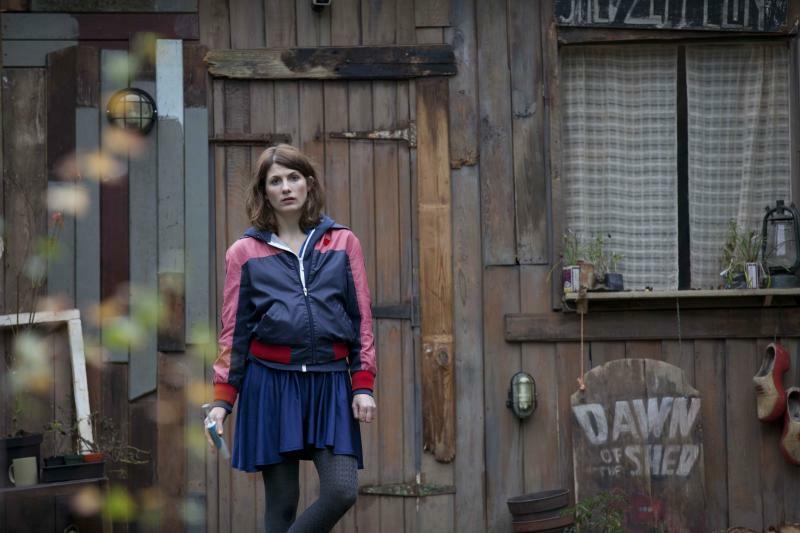 If all of that isn’t enough for you, and let’s face it you’re a Doctor Who fan, of course, it isn’t, then you could do a lot worse than watch the 2016 film Adult Life Skills which is a handy primer for how Jodie Whittaker may play the Doctor. Whittaker plays Anna, a woman approaching 30 who is stuck in arrested development. She makes endearingly silly videos in her mother’s shed, a hobby she has shared with her brother since childhood. The reappearance of an old school friend and a bond with a troubled neighbour opens Anna’s insular world and offers her a way out of her self-imposed exile. This is a coming-of-age tale for the 20-30 something demographic, stuck in low-income jobs and still living at home with their parents. The film is written and directed by Rachel Deering, who won the Nora Ephron Prize at the Tribeca film festival in 2016. The award is designed to give exposure to female writer/directors, something for which Whittaker, also an executive producer on the film, is an emphatic supporter. “It’s celebrating voices being heard and [Ephron’s] voice was heard so many years ago. But then that’s so f***ing depressing, why is it still so minimal?” Deering also plays Anna’s friend Fiona and has been friends with Whittaker since they were 3 years old, which lends a real authenticity and chemistry to their scenes together and is a strong part of the film’s charm. Alongside Doctor Who’s own step forward for gender equality, there are a couple of key factors to the film and the central performance that are pertinent to the role of the Doctor. Peter Capaldi recently said that Doctor Who is a show about death “…it has a very, very powerful death motif in it which is that the central character dies. I think that is one of its most potent mysteries because somewhere in that people see that that’s what happens in life. You have loved ones and then they go, but you must carry on.” Without giving too much away, Adult Life Skills is also about death, a film that has what Stylist magazine called “a unique premise: a comedy about grief”. Jodie Whittaker absolutely nails this fine line between quirk, comedy and pathos which presents us with the fully rounded character of Anna and which will surely guarantee us a brilliant 13th Doctor. Indeed, Anna’s shed is like a TARDIS, offering her the ability to escape the drudgery of her day job and constant arguments with her mother through these transportive videos which see her two thumbs bickering their way through space. Another important factor is the actor’s ability to charm a generation of children. You could see it in the way that William Hartnell visited village fetes and hospitals, the way Tom Baker was adored, or how Peter Capaldi surprised a group of kids visiting the Doctor Who Experience. The tender, tentative friendship between Anna and cowboy obsessed Clint (played brilliantly by Ozzy Myers) is the film’s true emotional heart and calls to mind some of the strongest moments of Matt Smith’s era, where the Eleventh Doctor would provide solace or encouragement to troubled or endangered children. Adult Life Skills is an offbeat, incredibly likeable film which ably balances moments of great sadness with great humour, a British story about loss and renewal. Which isn’t that bad a description of Doctor Who either. October will be here in no time and this show we have loved for so long is about to renew itself once more in some very safe hands indeed.